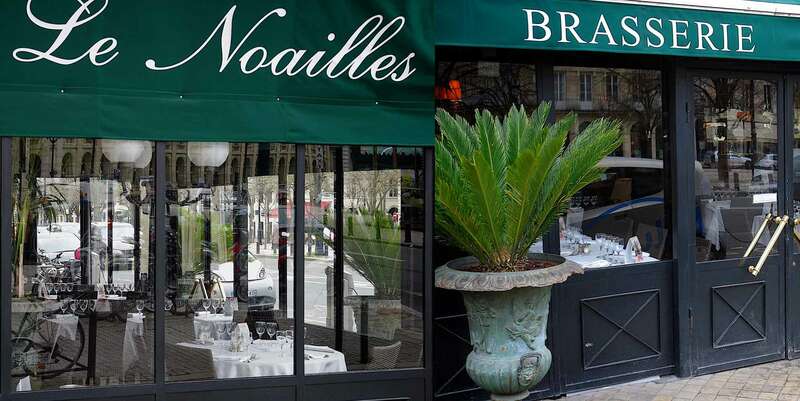 Situated right in the heart of Bordeaux, in the district known as the "Triangle d'or" or "Golden triangle", Brasserie Le Noailles is regarded as "the most Parisian of the Bordeaux brasseries". 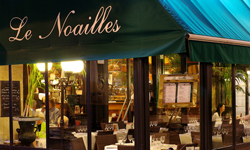 With its mirrors, its mural frescos by Dauguet, its red velvet chairs, and its waiters in black waistcoats and white aprons, Le Noailles offers a timeless setting and refined cuisine. 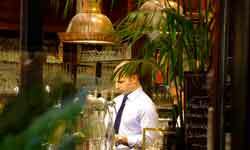 «In keeping with tradition of Bordeaux , the wine capital of the world!», the regional products we serve are complemented by a beautiful wine menu of mostly Bordeaux wines. 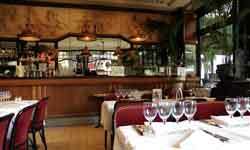 François Mauriac was known to dine regularly in this establishment, and numerous artists, intellectuals, and politicians have followed suit for several generations. ... and to eat more often.". Michel Eyquem de Montaigne, mayor of Bordeaux during the 16th century, a great philosopher and lover of gastronomy.